Wealth management and financial planning isn’t only for the upper income groups, but also for the middle classes like most of us. We at GoBear believe that the various financial services and products available for comparison on our website are pretty handy tools, and when used wisely, can help stretch your dollar further. From insurance to loans to credit cards, all of these can become integral parts of your financial planning, and contribute towards better personal finance management. In this post, let’s take a look at how you can make use of credit card facilities to help you improve how you manage your personal finances. Have you created a monthly or yearly budget plan yet? If not, now’s a good time to start, as this is a fundamental part of personal finance management. By planning out how much of your disposable income goes towards your retirement savings and how much goes into everyday spending, you can then better decide how much you can afford on luxuries like vacations or a new car, or how much to set aside for emergencies. Using a credit card to pay for recurring expenses can give you a better idea of how much your monthly expenditure is. Such recurring expenses include most utility bills, grocery bills, even insurance premiums. When managing your personal finances, watching your monthly cash flow is important, in order to ensure that you’re never caught out in the event of an unexpected expense, or any other sudden event that requires you to live off whatever funds you have in hand. This may make it more difficult to commit to higher-price purchases such as air-conditioners, refrigerators or a trip to Europe. Hence, it’s worthwhile to check if the high-price item you want can be bought on a 12-months interest-free plan using your credit card. By doing so, you are effectively reducing your upfront payment to about 8.3% of the purchase price, and you can pay it off over the next year (making it a recurring expense during that time). However, do remember that the full purchase price will count towards your credit limit, and that you should only do so if you can afford the full repayment in the first place. 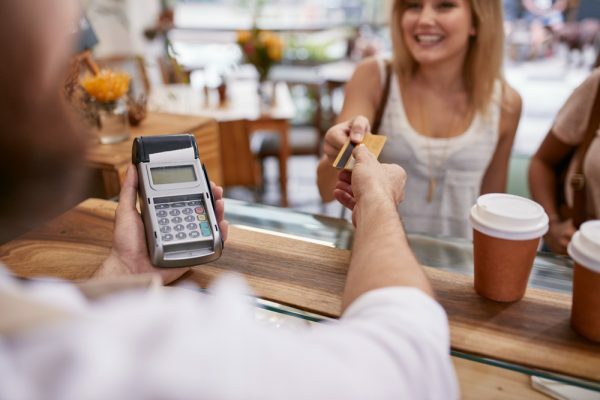 With the advent of credit card technologies like Visa payWave, and electronic debit payment systems like Apple Pay and Samsung Pay, making electronic payments so much more convenient, there’s less reason to carry large amounts of cash everywhere these days. Not only do you cut down on your stress level from not having to worry about having so much money on yourself, but credit card transactions are more secure, more trackable and in the event of loss, theft or fraud, you are protected against unauthorised usage. You also don’t have to worry about counterfeit bills. Some banks allow you to link your savings accounts to your credit cards, so you can even do away with an ATM card. Managing your personal finances requires you to keep track of what you’re spending and how much. If you paid using your credit card, you can use your statements to see precisely how much you’ve been spending on a monthly basis. Not only that, but you can see what you have been spending on individual bills, and track your expenditure over time. This can allow you to see whether you have increased your spending on any particular area, and allow you greater control over your spending habits. Most credit cards come with cashback and/or reward points in order to encourage you to spend more on the card. Why not take advantage of these offers? Even your everyday spends are eligible for them, and if you had to pay for an expensive purchase anyway (for example, a wedding reception, or a corporate function, or a family vacation overseas, or even down payment for a car), why not put it on your card? Pay in full when the statement comes due, and you would have gain a massive number of points (or cashback) for nothing! Here are just some of the many ways that the wise use of credit cards can improve your personal financial management, and allow your ringgit to go the extra distance. As long as you are careful to always spend within your means, credit cards offer you myriad advantages. But different banks and other institutions have different rewards plans and tie-ups with merchants, so why not look around for which credit card gives you the best value?